You’ll get a shot at some artist copies of two new concert posters tomorrow. 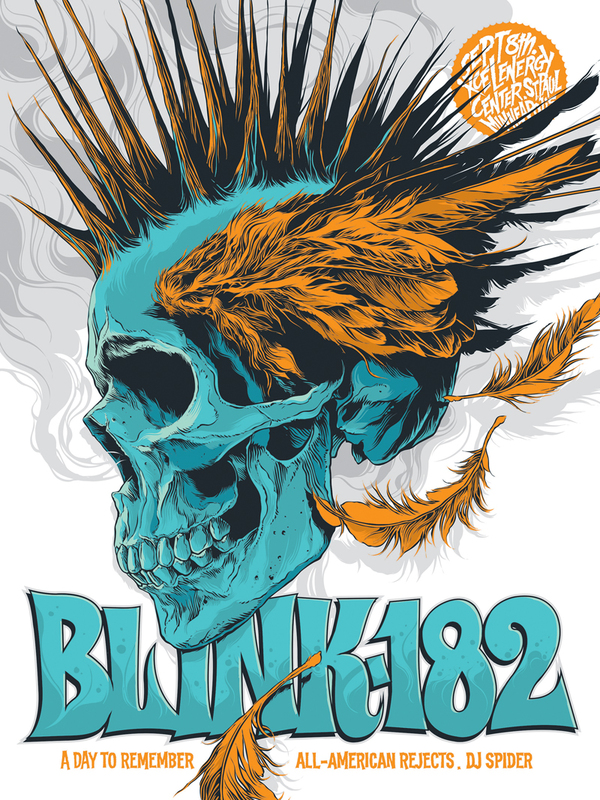 Ken Taylor’s Blink-182 poster is an 18″ x 24″ screenprint, has an artist edition of 100, and will cost $30. 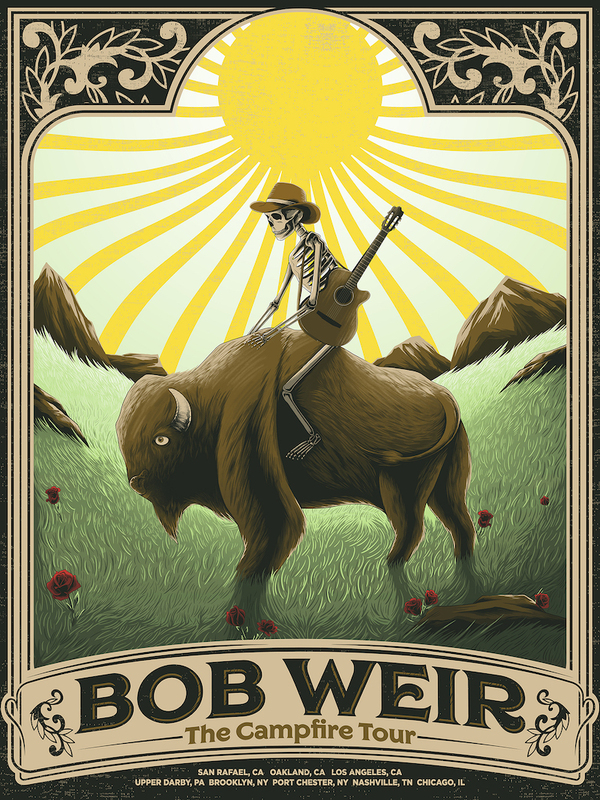 Arno Kiss’s Bob Weir poster is an 18″ x 24″ screenprint, has an edition of 575 (much less online), and will cost $40. These go up tomorrow (Friday, November 18th) at 2pm Central Time. Visit Postersandtoys.com.